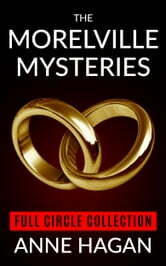 **The Companion Guide featuring 16 articles full of insight into the Morelville Mysteries series. Book 2: Busy Bees – Romance and Murder Mix in the Latest Story Featuring Sheriff Mel Crane and Special Agent Dana Rossi! 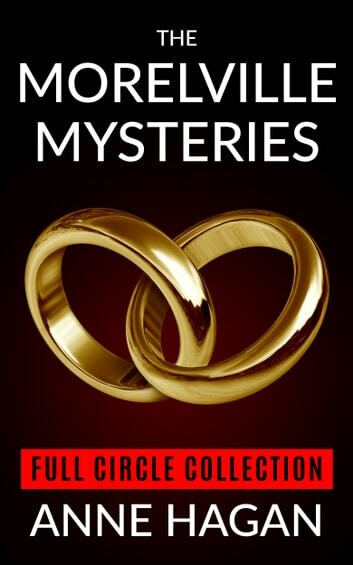 Book 3: Dana’s Dilemma – Elections and Old Loves Combine with Deadly Results in the Newest Romantic Mystery Featuring Sheriff Mel Crane and Special Agent Dana Rossi! What happens when Mel runs for Sheriff, an Amish girl runs away from home and Dana runs – er, limps - for cover? Can anything else possibly go wrong for these two ladies of law enforcement? Sure it can…and it will! Can the two sometimes lovers work it all out once and for all and finally have a happy life together or will more crime, murder and mayhem get in the way? Book 4: Hitched and Tied – Mel and Dana attempt to bring their growing relationship full circle but family, duty and family duties all conspire to get in the way. A victim with close ties to the Cranes escapes a deadly assault with his life only to die from his injuries minutes later. Mel has few clues to find the fighter turned murderer and the further she goes with her investigation, the more the situation deteriorates. Meanwhile, Dana’s trying to plan their wedding but the family is resisting both her efforts and the wishes of the couple while focusing more on her sister and her traditional relationship. Family angst, violent crime and more than a few Holstein steers abound as Dana and Mel fight against the odds to solve Mel’s case and find their own happily ever after.